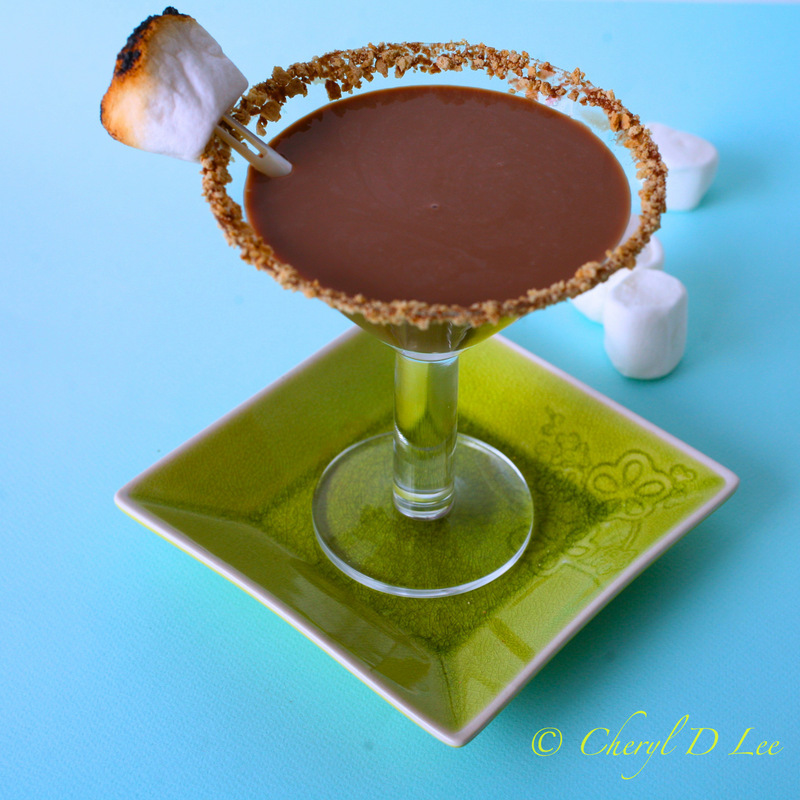 S’Mores Martini you say? Have I lost my mind, you say? As much as I would love to tell you I came up with the idea for this fantastic cocktail, it is the brainchild of one of my favorite QVC hosts David Venable. 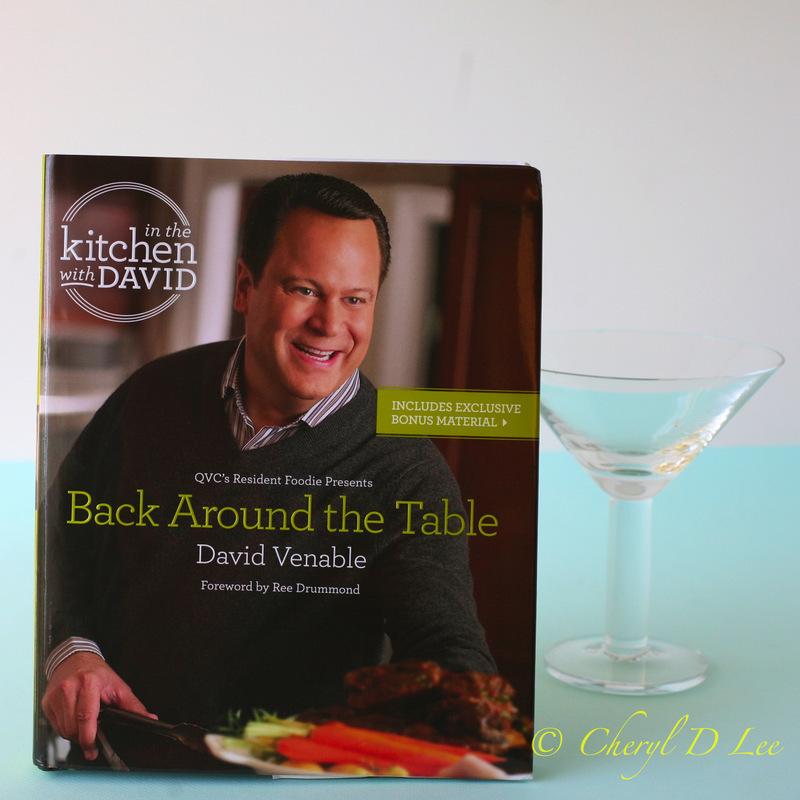 In his latest cookbook Back Around the Table: An “In the Kitchen with David” Cookbook from QVC’s Resident Foodie. This is his second book, almost guaranteed to be a bestseller like his first book. In October 2012, he released his first cookbook, In the Kitchen with David: Comfort Foods That Take You Home, which contains 150 hearty, easy-to-make recipes designed with the home cook in mind. It was the third best-selling cookbook of 2012. This new book is chock full of recipes for tasty treats, including Banana-Peanut Butter French Toast, Sunday Pot Roast, Smoked Brisket, Five-Cheese Fifteen-Minute Mac’ n’ Cheese, and Mimi’s Blackberry Cobbler–can be found in his second comfort food cookbook. QVC’s resident foodie shows you how to transform recipes you know and love into exciting new dishes that still remind you of home. I actually have a few appliances in my kitchen that I bought from QVC, probably while watching David Venable on In the Kitchen with David. My pressure cooker and huge 18 quart roaster oven are wonderful appliances. I’ve cooked my 20 pound Thanksgiving turkey in that roaster oven, because not only does it come out so tender and juicy I pulled the leg off just trying to pick it up but also because it leaves your oven free for all the side dishes. You can’t beat that. I’ve been a QVC shopper for so long I can’t remember. I cannot tell you how many times I was wearing an outfit or a beautiful piece of jewelry, and had someone approach to ask where I got it. I would always proudly say QVC! My friends would laugh at me because I said QVC so often! Whatever, I know where to buy the good stuff. I chose to make this cocktail from the book, even though there are so many other recipes that sounded delicious. The Smoked Gouda, Bacon and Pea Risotto is calling my name, as is the Asian Pulled Pork. 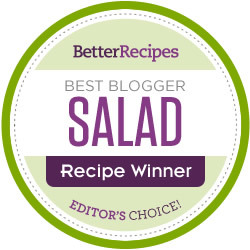 Both recipes are for the pressure cooker, which I happen to have, because I bought it on QVC! A S’Mores Martini is like drinking adult chocolate milk. It is is sweet and smooth and oh so tasty. Too tasty, because I sucked one down in mere moments. Then I just sat there giggling for a bit. Lesson learned. Put 3 tablespoons of the chocolate syrup on a small plate. Place the crushed graham crackers on another small plate. 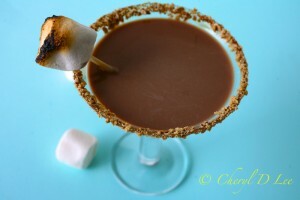 Dip the rims of two martini glasses in the chocolate syrup, then dip the rims into the graham cracker crumbs. Quickly turn the martini glasses right side up and drizzle the remaining 1 tablespoon chocolate syrup in a spiral design on the insides of the glasses. Put the glasses in the freezer for 1 hour to let the chocolate harden. 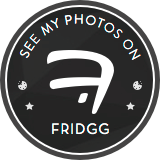 Remove the glasses from the freezer. Heat a small nonstick skillet over medium-high heat. Put each marshmallow on the end of a skewer. Place the skewers in the skillet with a flat side of the marshmallows facing down, until the marshmallows turn golden, about 45 seconds. Remove the skewered marshmallows from the pan and, using the tines of a fork, push 1 marshmallow into each martini glass. Fill a cocktail shaker halfway with ice, half of the marshmallow vodka, half of the Adult Chocolate Milk, and half of the cream. Shake well and strain the mixture into one of the glasses. Repeat for the second drink.